Here is a step by step guide that will take you through the entire process. Publishing gotomeeting recordings with Oculu is easy. Within the gotomeeting app make the following change. 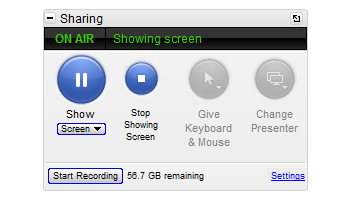 Select recording settings, then select desired audio setting. Under video, select convert to windows media player file. 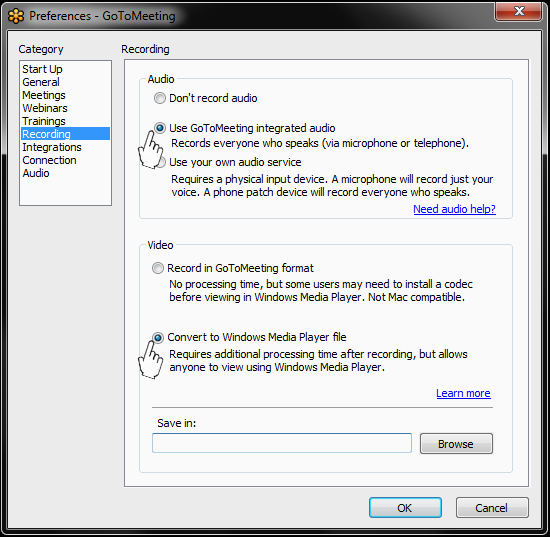 If your meeting is recorded in the default gotomeeting format it will not be compatible with the Oculu video encoder. 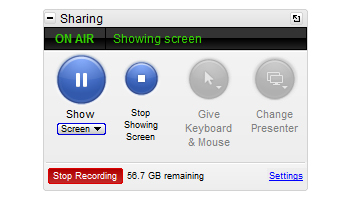 Next, start your meeting and don’t forget to select start recording. 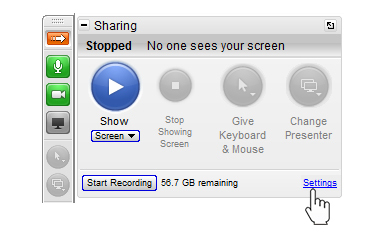 When the meeting has concluded, select stop recording and click the gotomeeting app. All that’s left to do is log into Oculu and upload you gotomeeting file. If you have a meeting file previously recorded as a gotomeeting movie, a 3rd party editing tool must be used to convert it to a compatible format. These formats include: Windows Media wmv, Quicktime h264, or mP4. So now you know how to publish a gotomeeting to your Oculu account. Just be sure to test this process out before your next big meeting.